When disaster strikes your commercial or industrial roof, racing to put out pots and pans isn’t going to be enough. There’s nothing comical about a leaky ceiling in real storm conditions, so if your building is in need of emergency roof repairs, call ACR Commercial Roofing at (806) 712-8162. If you notice any of the above, don’t panic! Call ACR Commercial Roofing at (806) 712-8162 and let us help you with our 24/7 emergency repair services. 1) We will dispatch a technician to do an on-site, thorough, multi-point assessment of all damages, as soon as safely possible. 2) If immediate measures, such as tarping, need to be taken, we will take care of it. 3) We will help you decide if you should file a claim with your insurance company and offer assistance, if need be. 4) We will provide recommendations of the best possible solutions, along with a cost estimate. 5) As a one-stop shop for all your commercial roofing needs, if repairs need to be made right away, ACR Commercial Roofing is qualified to take care of them. 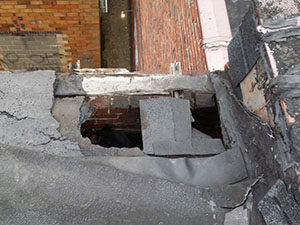 When your building incurs significant damages that create an emergency situation, it can be easy to quickly become overwhelmed. Don’t call your handy neighbor or DIY it – call the best. 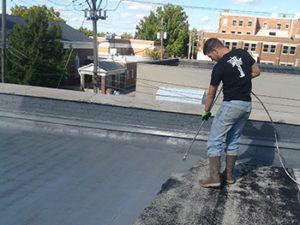 At ACR Commercial Roofing, we are very experienced in dealing with every aspect of emergency roof repair – from initial inspection to diagnosis, insurance filing, repair, and, finally, final assessment. ACR Commercial Roofing is a reliable commercial roofing contractor with 20+ years of experience. We are proud members of Choice Roof Contractor Group and hold certifications with GAF and CertainTeed, the two largest roofing material manufacturers in the United States. When you need emergency repairs right away, call ACR Commercial Roofing for expert service at (806) 712-8162. For over 20 years now we have been building our business, strengthening relationships with our clients and expanding our roofing knowledge with every project we take on. That many years and thousands of people served cannot be wrong. 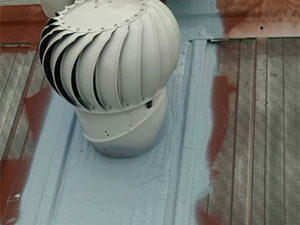 Make the right choice for your commercial roof repair needs, and contact ACR Commercial Roofing. 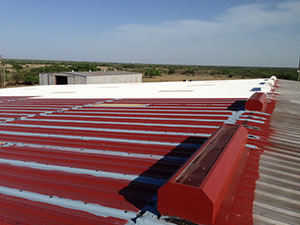 Let us keep your Lubbock, Texas commercial or industrial roof on the right track. Call us today at (806) 669-7777. Our competitive pricing and commitment to quality commercial roof repairs is what sets ACR Commercial Roofing apart from the crowd. We are driven by success and the desire to consistently exceed our customers’ expectations. Whatever roofing type you have, our crews are able to correctly address any issue it is facing. Our team is here to ensure you get the highest return out of your roofing investment. We have services in place to make it happen! For the attention and expertise we are known for, call our Lubbock, Texas office today at (806) 669-777. Together we can ensure the longest life possible for your commercial roofing asset. To determine the best course of action for your commercial roof we have put together a specific all-points roof inspection check list. This allows our technician the opportunity to inspect your roof, corner to corner, searching for even the most minor signs of damage. 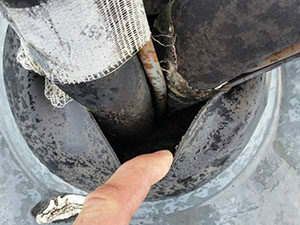 As we all know, even the tiniest leak can eventually challenge your entire roofing system. Together, we can make sure that doesn’t have. 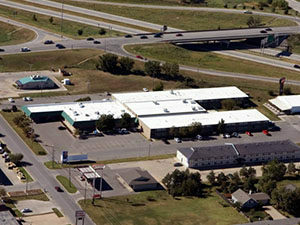 For quality commercial roof repair services in the Lubbock, Texas area, turn to ACR Commercial Roofing. Call us today at (806) 669-7777. When it comes to commercial businesses, time is money and this holds especially true when we’re talking about commercial roofing assets. 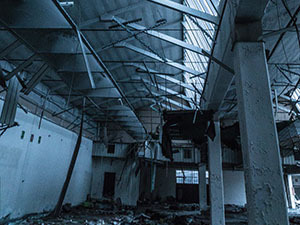 Your commercial roof is the forefront between your employees, equipment, and valuables and the dangerous elements of nature. When roofing issues arises, it is important to handle them immediately. However, this is usually not the case for many business owners. Due to the chaos that comes with operating a business, roofing issues can go completely unaddressed. At ACR Commercial Roofing, we strive to ensure your commercial roof gets the service it needs when it needs it. We deliver premium services to all of our customers and only use the highest quality products to get your roof back on track. If you would like to learn more about our repair services, call ACR Commercial Roofing today. We are available at (806) 712-8162. 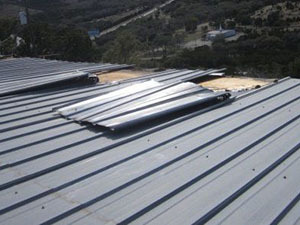 When your commercial roof experiences any form of damage, the time taken to act upon these issues is crucial to the amount of damage your facility will receive. As stated above, business owners lead very busy lives and the staff at ACR Commercial Roofing is here to bring relief to your commercial roof. Time is of the essence when damage strikes your commercial roof, which is why we offer emergency roof repair. We understand that time is money and we will have our most experienced staff members visit your facility and address these issues immediately. We only use the most premium materials to take care of your roofing damage and it is matched with impeccable service. Our staff receives continuous training and will be able to handle your roofing issues effectively and efficiently. If your commercial roof is ever suffering from damage that needs to be addressed immediately, call the experts at ACR Commercial Roofing. We will be there to support you from start to finish. You can reach us at (806) 712-8162. Roofing damage doesn’t wait around for anyone! The quicker your commercial roof’s problematic areas are addressed, the less costly the repair will be. Don’t pay more than you have to! The professionals at ACR Commercial Roofing will get your commercial back on track at an affordable price. Call us today at (806) 712-8162 if your roof is in need of an emergency repair. We’ll send the ACR Commercial Roofing team out ASAP. We look forward to potentially working with you. 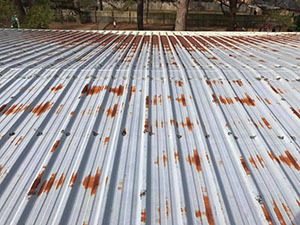 If your building asset is located near the Amarillo, Texas area, and your commercial roofing system is experiencing troublesome issues, contact ACR Commercial Roofing. With over 20+ years of roofing knowledge and methods, we have successfully completed and served over 10,000+ clients throughout the state of Texas. We are proud to provide attentive customer service, prompt project completion by our expert personnel, and satisfactory results with a large selection of roofing solutions. You can rely on the experts at ACR Commercial Roofing for any roofing necessity! All roofs are unique with their own needs. Here at ACR Commercial Roofing, we understand this, which is why we offer professional, on-site roof evaluations before starting any project. You can schedule an appointment with one of our representatives and we will have one of our specialists visit your facility and assess your roof’s current status. We will present you with a list of suitable solutions for your roof’s problematic areas. To request a professional, on-site roof inspection and estimate, contact us today at (806) 576-4228. We constantly keep our company up-to-date with the most recent innovations and technologies in the roofing industry to more effectively solve your roofing headaches. We specialize in providing durable, reliable roofing solutions that will minimize your energy costs and boost your roof’s performance. Contact us today to find out more about how we can benefit your roofing system! We look forward to speaking with you. No matter what the repair is (localized repairs, maintenance, restoration, replacement, or a new roof installation), ACR Commercial Roofing has your back! Don’t hesitate! 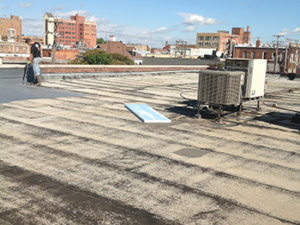 Contact ACR Commercial Roofing for reliable service and prompt project completion. Would you like to schedule a professional on-site roof evaluation and estimate? Call one of our team members today! One of our experts will visit your building asset, evaluate your roof’s condition, and present you with a list of some of the best available solutions for your roof’s unique needs. Contact us at (806) 576-4228 to request a professional, on-site roof inspection and estimate. We look forward to working with you.